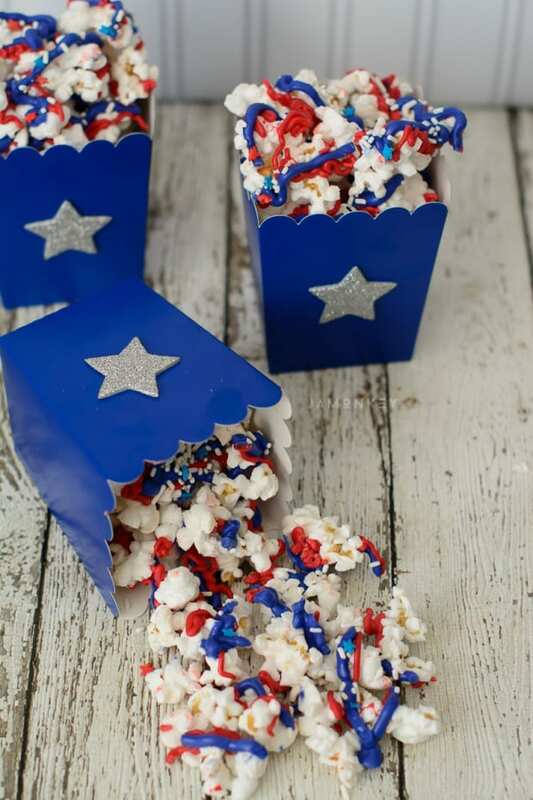 Make this Patriotic Popcorn with your kids to get them excited about the 4th of July or Memorial Day. 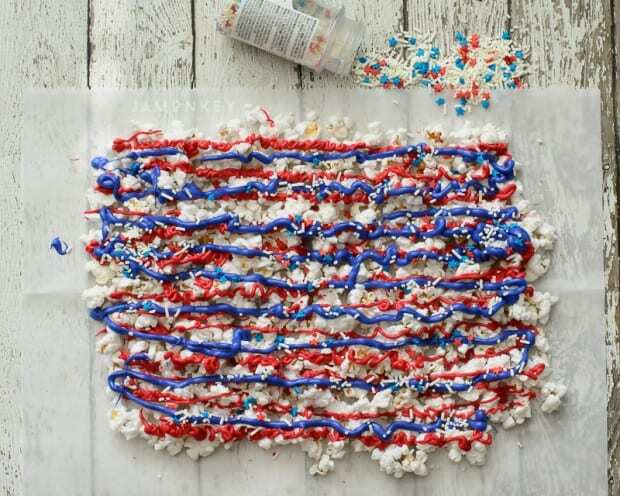 It's the perfect snack to bring with you to munch on while you wait for the fireworks to start. Popcorn is one of those easy snacks that is light and always a crowd pleaser. All you need are some blue and red candy melts and some star sprinkles to make it more festive. Oh, and some popcorn. After you've popped your popcorn, place it on a piece of wax or parchment paper. Melt your red and blue candy melts in separate bowls or a candy melt bottle . 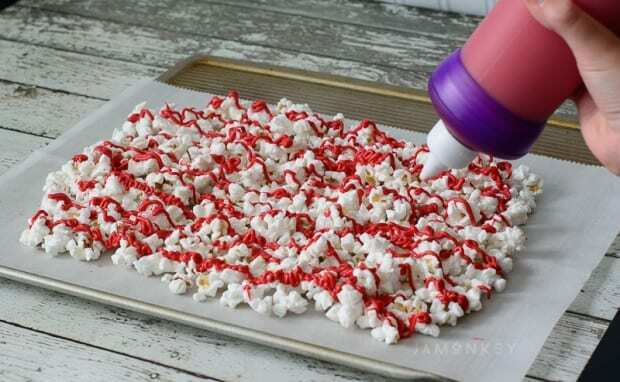 Squeeze the yummy colored chocolate over the popcorn. 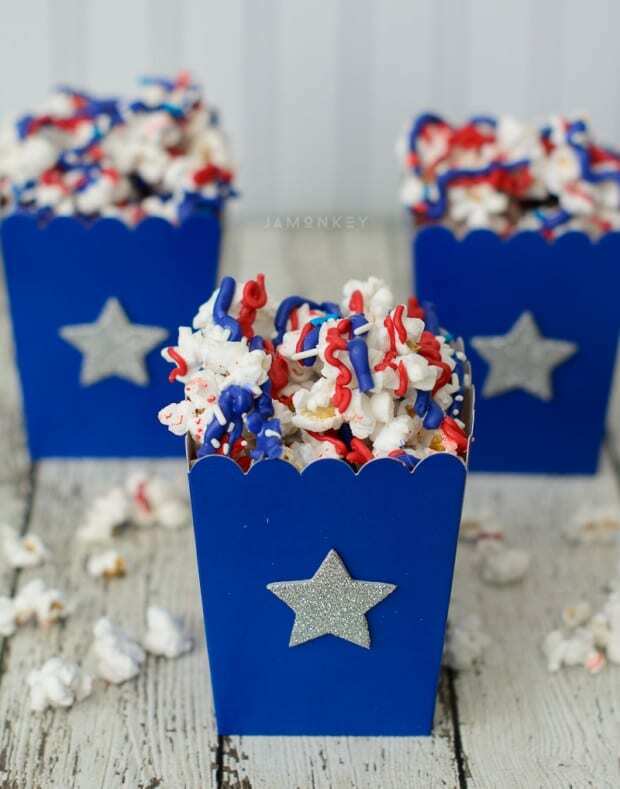 Before the chocolate hardens, sprinkle the popcorn with star sprinkles . After your popcorn has hardened, break it up. 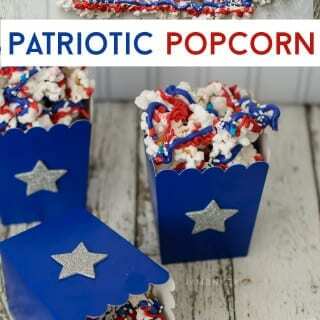 Find some fun cups to put it in and bring it with you to eat while you watch the fireworks. It's a special treat to help pass the time before the fireworks start. We know how boring it can be waiting for the sun to go down and the show to start.